Energy sources like wind and solar power keep going from strength to strength as costs fall, climate action becomes mainstream and legislation takes effect. 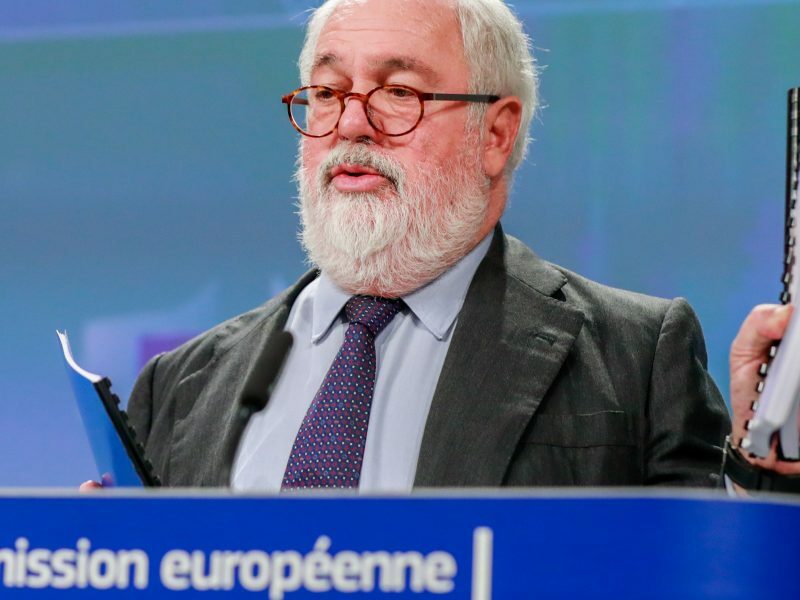 The EU recently signed off on a new law that sets a 32% renewable energy target for 2030, as the bloc chases 40% greenhouse emissions cuts by the end of the next decade and looks to make good on its pledges under the global Paris Agreement. 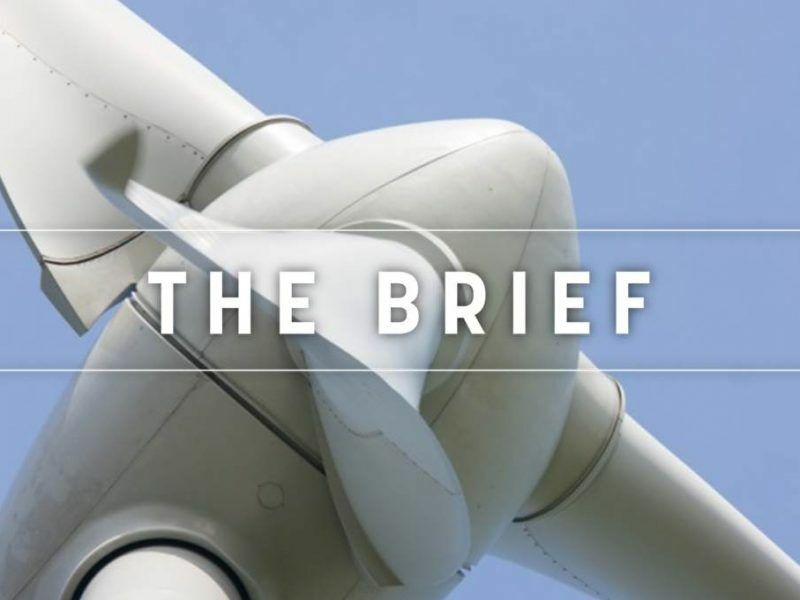 As part of those renewables law negotiations, the European Commission engaged the services of the International Renewable Energy Agency (IRENA) to find out how feasible a target in excess of the EU executive’s original 27% suggestion could be. 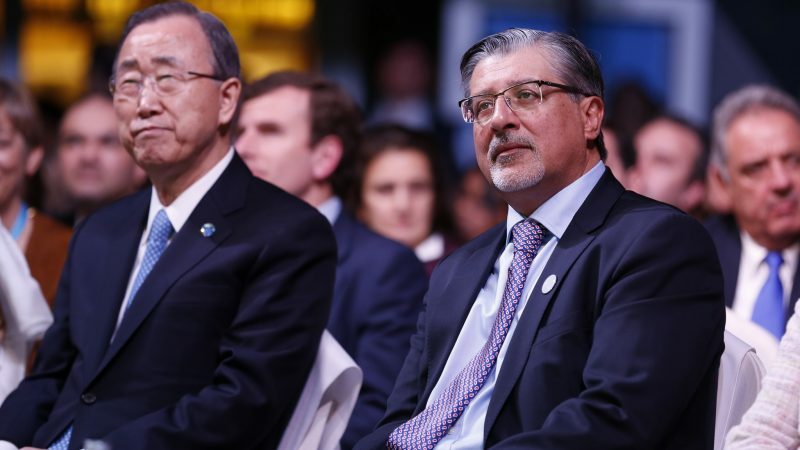 Director-General Adnan Z. Amin is of the opinion that IRENA’s contribution made a “huge impact on the discussion”, after his services concluded that 34% was possible. Particularly since the Abu Dhabi-based agency is independent and has no commercial interests. During an interview in Brussels with EURACTIV, Amin stressed that renewable energy’s reach extends far beyond just powering our vehicles and lighting our homes, explaining that turbines and photovoltaic panels are on the verge of changing geopolitics forever. According to a recent IRENA report, clean energy will reshape political alliances, shift trade patterns, reduce the risk of oil and gas-fuelled conflicts and decrease the influence of fossil fuel exporters on the world stage if they do not adapt. 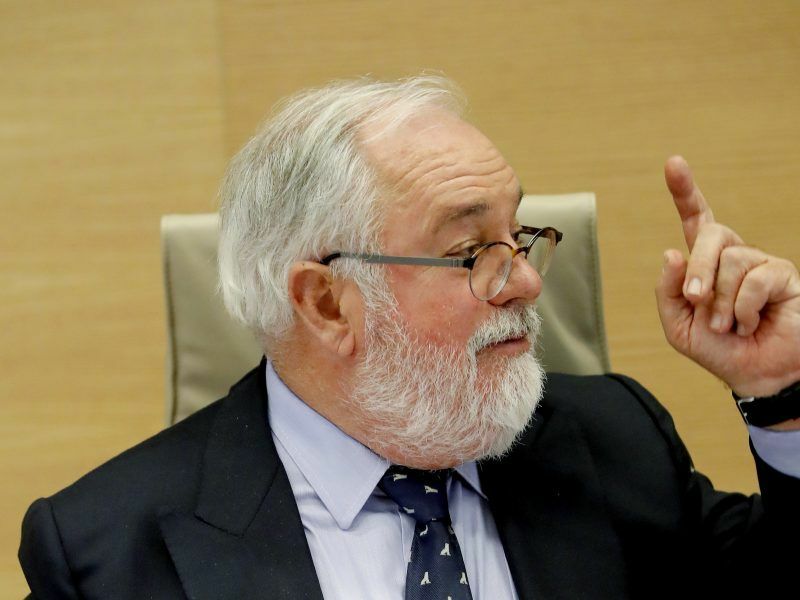 The Commission’s recent long-term climate strategy for 2050 made a point of hammering home that if EU capitals decide to pursue the most ambitious option on the table, net-zero emission cuts, energy imports could be slashed by 70%. “All the cost equations for energy for the future are changing rapidly. People are making rational economic decisions. In the same way we switched to mobiles from landlines, we’re going to move to more decentralised, democratised, digitalised energy systems,” the Kenyan-born official said. Amin, a seasoned diplomat who cut his teeth at the United Nations for over two decades, also said that myths about renewable energy, such as their variability or unsuitability in industrial processes, are starting to be busted. Coal as a power source is firmly on a downward spiral in many countries but the debate about what to do with natural gas in the next few decades has now taken on fresh impetus. Gas industry representatives insist that the switch from dirtier fossil fuels like coal and oil will need natural gas as a ‘bridging fuel’ but Amin suggested that the fuel’s future is “not as robust as the industry would like it to be”. Innovation is the crucial point made by a new IRENA report, which concludes that factors like digitalisation and electrification will help countries make the most of low-cost renewables. Amin insisted that the clean energy industry will have to make sure there is continual innovation so that recent falls in power generation costs continue. He cited the example of Perovskite solar panels, an emerging technology that could slash costs by a further 50%. Fresh from the Munich Security Conference to present the innovation report at the Commission’s Berlaymont HQ, Amin pointed out how for the first time at the annual meeting there was a session on the geopolitical risks of climate change. In fact, the link between security and clean energy has become more explicit in recent years. EURACTIV asked Amin whether renewable energy spending should be counted towards NATO defence spending targets, given the effect energy independence has on geopolitical ties, particularly with gas titan Russia. US President Donald Trump has used the NATO summits during his time as commander-in-chief to urge European nations to meet the 2% target and has even suggested it should be bumped up to 4% instead. Donald Trump wants Europe to spend more on defence. He’s right. But forget about tanks, missiles and guns: we need to pump cash into an energy arms race. There’s no doubt we’d win it. Climate change is also widely expected to lead to increased migration, especially if efforts to keep global warming below 1.5 degrees Celsius fall short, as crops risk failing and natural disasters become more frequent. Amin explained that IRENA is widely active in areas of the world that are set to be most hard hit, including Africa, Central America and Asia, and that his agency “develops practical capabilities” in order to support countries in critical areas. Although optimistic that the climate debate is now moving in the right direction, particularly given the recent emergence of youth involvement in marches and strikes, Amin admitted that climate change is “truly, truly frightening”. EU leaders are set to discuss the bloc’s long-term climate strategy at a meeting in Romania on 9 May, ahead of what is being touted as a milestone UN summit in September. I am a staunch supporter of Renewable Energy, Energy conservation and clean Environment. IRENA is doing a good job in investing in Renewable energy well in time to protect the environment. Much work is being done to control Global warming. The pace shall decide the future of our Planet Earth. My Concern is about Global weather Conditioning. I am working on this issue, Specifically on weather conditioning in UAE, where all the ingredients are available for such a project. This project shall in return yield products and by products.